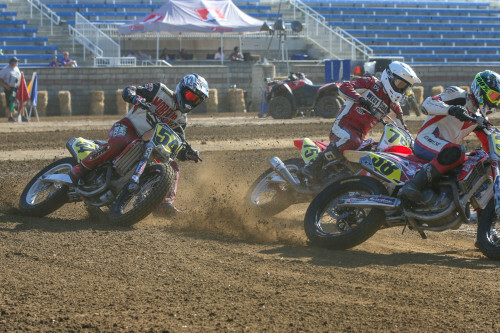 Amid all the well-deserved hullaballoo regarding Kolby Carlile’s amazing consistency on his way to the 2017 AFT Singles title, or Shayna Texter’s eye-opening five Main Event wins last year (more than any other AFT Singles rider) while posting 3rd in the championship chase, there was Maryland’s Brandon Price – quietly hammering his way to a runner-up spot in the 2017 championship while showing consistency and the ability to win, as his three Main Event wins last year clearly show. The quiet, low-key kid from White Hall, Maryland, whose first bike was a Honda 50 and whose first race was on the indoor concrete slab in Timonium, MD as part of the BCTRA (Baltimore County Trail Riders Association) series, has quickly and quietly risen in the AFT ranks. 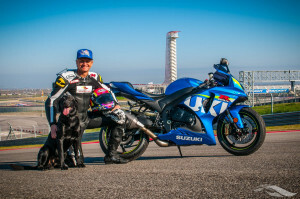 Price finished 7th overall his rookie season in 2016, with eight top-ten finishes, and came within a whisker of winning the 2017 AFT Singles title (he finished second). He won the 2017 finale at Perris, with only a mechanical DNF at the penultimate round in Texas keeping him from the number one spot. Price’s performance at the 2018 DAYTONA TT wasn’t exactly what he expected, managing just seventh in the Main. But just like last season, where he recorded a disappointing 14th at the Daytona opener and a 13th at Atlanta in race number two, he rebounded quickly with a win at Charlotte in race number three. And that’s exactly what happened at round number two at Atlanta last weekend – a dominant win on a challenging racetrack. So you might just say Brandon Price is already ahead of schedule. Price readies for the start of his Semi, and tries to block out the butterflies in his gut. Brandon Price (92) blasting away in Sunday's Semi race, which he won easily. In the AFT Singles Main on Sunday, Price was in control for much of the race, winning by a good margin. Despite rain Saturday evening, conditions for the Atlanta Short Track were excellent both days. Price has been at the top of his game for a long time, compiling an impressive list of wins and championships in his years of competition. At the local level he won just about every race he entered in the 85 and 250 classes, and was the Northeast National Champion for several years in the 65 and 85 classes. At the Amateur Grand Nationals, from 2010-2015, Price won 31 Amateur Grand National races and 11 Grand National Championships. 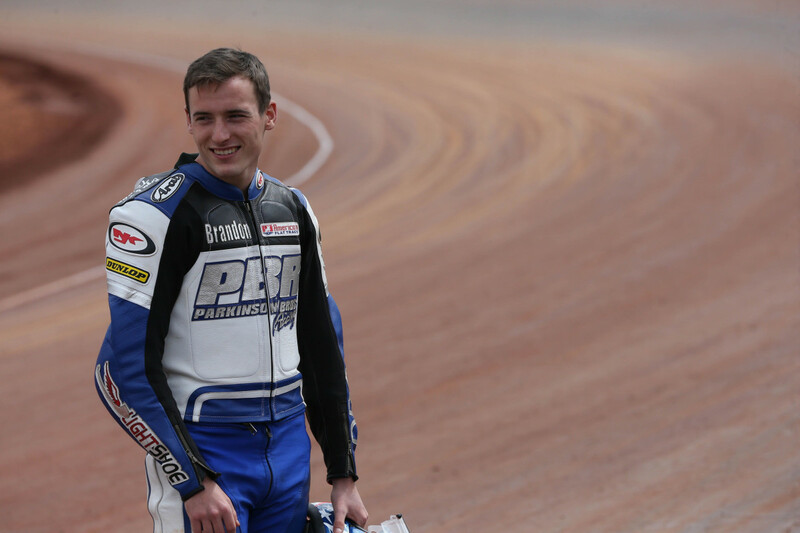 He was also the 2010 youth dirt track rider of the year, and also won the Rodney Farris award from District 7. Brandon Price (92) leads the Semi field out of Turn Two on the opening lap. Last year, the Texas round – which happens in just two weeks, April 28 – was a heartbreaker for Price. 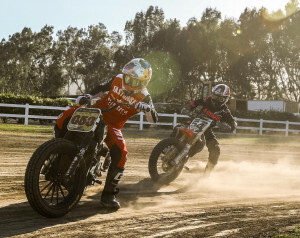 He qualified third fastest and was running in the lead pack when a coil wire broke, causing a DNF and essentially taking him out of title contention, seeing as how he won the following – and final – race in Perris, Ca. 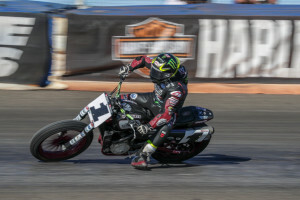 With that sort of circuit coming up, a going-away win in Atlanta already under his belt, and that quiet speed and effectiveness seemingly in full bloom, it’s hard to count Brandon Price out of round three at Texas Motor Speedway – or this year’s AFT Singles championship, for that matter.